Sunshine peeking through the windows, the smell of coffee filling the house and yet you have no idea what to make for breakfast. Tired of the same old eggs and bacon separated, you decide to try something different. But what? How about trying a quiche? This baked delicious treat is typically cooked in a pie crust to golden brown and makes your whole house smell great. What makes this dish all the better is the fact that the quiche can be changed up any way you like. 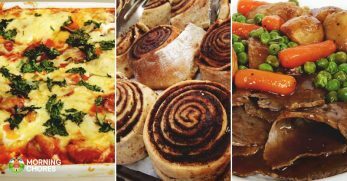 Below are some recipes that will leave your mouth watering. 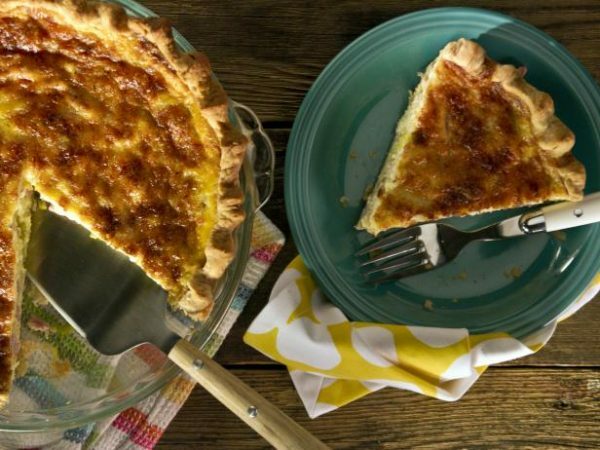 This classic recipe is a go to if you have never tried quiche before. While I highly doubt Julia Child is the originator of this recipe, she sure did know how to perfect it. Filled with bacon, cheese, eggs, and a flaky pie crust, what could be better? It's simple but delicious; hence why this is the go-to recipe for a person that is just trying out quiche for the first time. Try something simple and work your way up once you know you like the recipe. 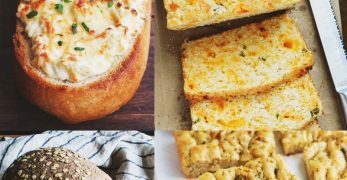 While this will always remain a classic favorite, the rest of the recipes will expand on and bring out different flavors that are perfect for breakfast or any time of the day! 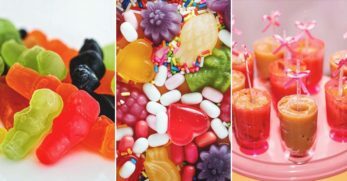 City Girl's Kitchen posted the recipe and these fabulous pictures. Follow the recipe for a taste of French. I love the idea of sausage and fresh spinach. 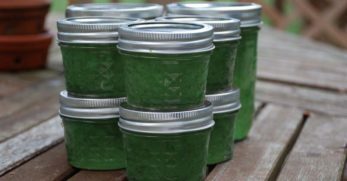 If you have never tried spinach other than the canned variety, this is your opportunity. Cooking them down from fresh is a totally different experience. Combined with cheese and a flaky crust and you might never go back to your regular breakfast again. Miss in the Kitchen definitely hit the nail on the head with this recipe. It tastes delicious and brings out flavor you don't want to miss! I am not a native to Texas. I grew up in Illinois. Also, I am not a big fan of food that is too spicy. This recipe is not spicy but it is the epitome of southern food. And who doesn't love southern food? I think even Northerners have some southern food in each town. But this recipe, it has sauteed onions in it. And bacon. Did I mention it has bacon in it? Oh, and they also added cheese to the goodness as well. Plus, you know it is good because it was originally a Pioneer Woman recipe that has been tweaked a bit by Rumbly in my Tumbly. I am adding this recipe to my repertoire of things to try in the next few weeks. Never mind that I just told you I don't like spicy. This one is for people like my husband who cannot get enough spice, even with the fire in their mouth. And yet, if you scrape out ALL of the seeds in the jalapenos I might be able to eat a bite or two. The cream cheese and bacon are the saving grace here. Fabulous. Especially if you like Jalapeno poppers. 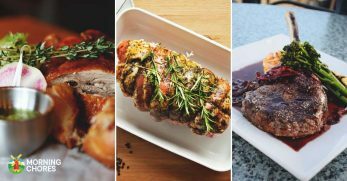 It just goes to show you how versatile this recipe is. You can make a snack you like and create it to be the main dish simply by adding eggs and a pie crust. Wa-la! 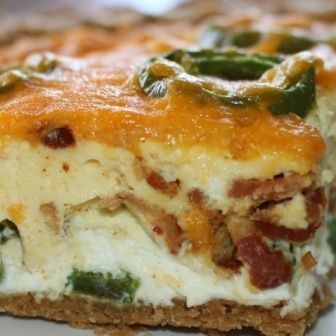 Real House Mom‘s Bacon Jalapeno Popper Quiche is for the lover of spice and ball game style food! 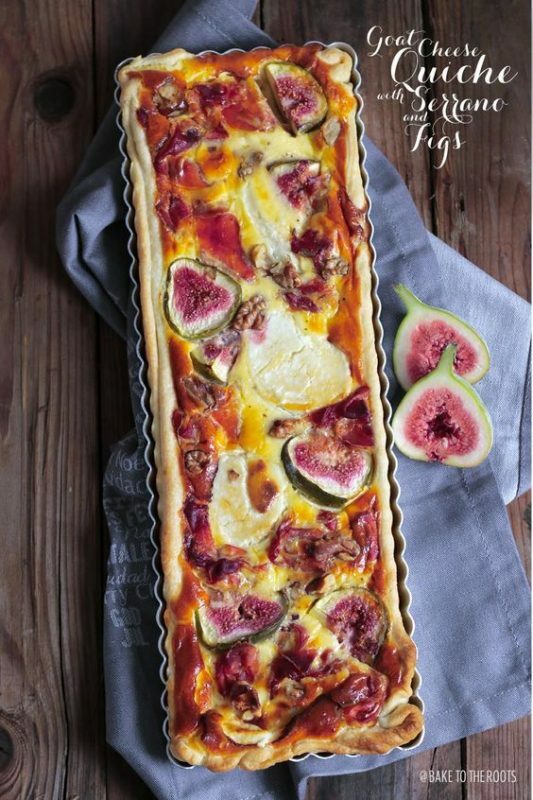 Bake to the Roots came up with this delicious fig and goat cheese quiche. It was done a bit different because it wasn't put in a traditional pie pan but made into a sheet quiche meaning that there are fewer eggs in the center of the quiche. This recipe also has a fruit in it instead of vegetables. The subtle taste of the goat cheese really melts in your mouth with the other ingredients. It's making my mouth water as I type this. This quiche defines me. By calling it a farmers market quiche, it speaks to me – say that you make what is in it based on what is available in the market. As you can see by the picture the author of Saving Room for Dessert made this in the summer. They had tomatoes, onions, basil, and zucchini available to them at a minimum. I love that this recipe was made so colorful as well, choosing to use different varieties of tomatoes to add to the pop. The pan they used was also a bit more shallow than many pie crusts. This is a recipe I cannot wait to try! Obviously, to get the great items that they did, I will need to wait a bit but until then, I'm going to head to the market and get what I can. 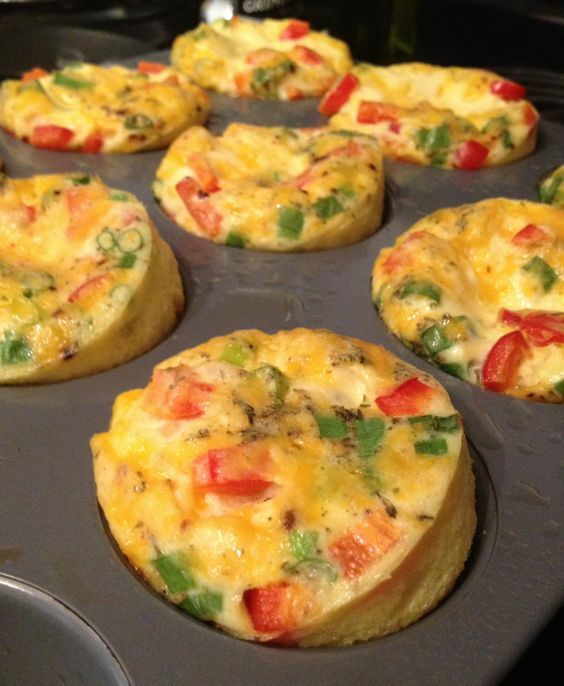 Michelle Smith's RD brings out one of my favorite things to do – make small quiches for my girls' lunches. They don't even have to have crusts if it would take up too much room. 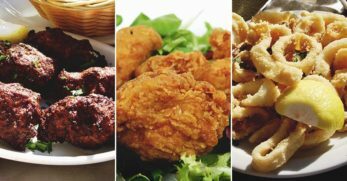 What makes this recipe so great is that you can add food based on what the “customer” likes. For example, I will sneak in some blended cauliflower for my youngest daughter who does not like vegetables. Adding the cheese and the bacon means that she never notices the veggies. My older daughter is okay with broccoli and cheese in her quiche. Sometimes I will add all sorts of goodies into mine, such as olives, spinach, bacon, and different types of cheeses. I simply make the base and then add the ingredients individually. Avocados are on my love list. Yet another one of those, “If you haven't tried it, now is the time!” foods. I don't know if my husband has tried avocados or not but I know my girls have not and they refuse to… one day they will change their minds. I was in high school when I first was introduced to avocados in the form of guacamole. A friend of mine and I got it with our chips at a Mexican restaurant. 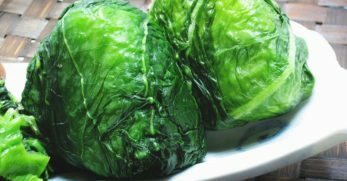 Amanda Fink at The Wholesome Dish came up with this fabulous recipe. Again, the pan she used made the eggs a bit on the thinner side of a quiche but that's okay- cut off a bigger slice! I'll blame this on the fact that I moved to Texas. I had never heard of Chile Relleno until a co-worker of mine brought it to a potluck. I was sold! 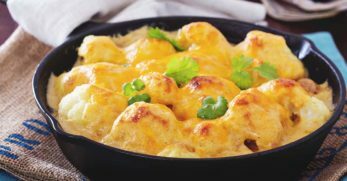 This delicious recipe combines all of the main ingredients – from the poblano peppers to the sour cream and cheddar cheese. I am forever grateful for Cooking in Stilettos since she came up with this idea. 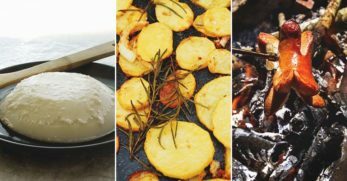 Yet again, we have another delicious recipe that combines a food we already eat and turns it into a completely different meal. Amazing! Asparagus grows in the early spring here in Texas and is the oddest thing to me. Instead of growing on a bush, it grows up from the ground exactly like you purchase it from the store. Simply pick it directly from the ground. Since this is an early spring food, there is a good chance many Texans and other southerners could have this around Easter. What makes that so good is the fact that she uses ham – meaning you have a way to use up your extra ham leftover from your Sunday feast. Special shout out to The Creative Bite for creating such a delicious spring brunch treat! 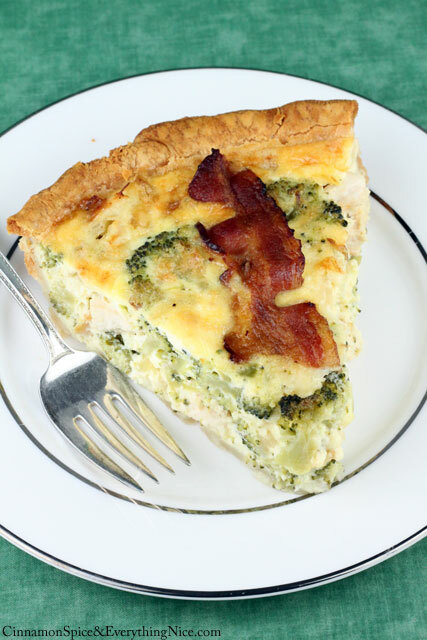 Another shout out to Cinnamon Spice & Everything Nice for making this delicious broccoli and bacon quiche. Broccoli is another cooler season vegetable. Something I was unaware of as a child. Adding in onions and bacon to this tasty egg and cheese recipe is sure to please a crowd. In addition to this, most people like cheese on their broccoli. My whole family likes broccoli; yes, even the little one. She just doesn't want it in her quiche. She is like her father that way. Older daughter and I eat this recipe up when we have the ingredients in front of us! Have you ever had Eggs Benedict? It is like a little piece of heaven. The bread, ham, and poached egg are light enough that the richness of the hollandaise sauce is a perfect component. Turning it into a quiche is a great idea, especially when you don't want to slave over a water bath trying to get the perfect poached eggs. This is the exact reason why Kayleigh over at Lively Table came up with the recipe. Her father and husband wanted Eggs Benedict for brunch on Christmas morning but her and her mother wanted to spend time with their loved ones, not with the stove. She made sure to point out that it was a hit. Not a surprise there, though! She added asparagus to her recipe as a side ingredient. 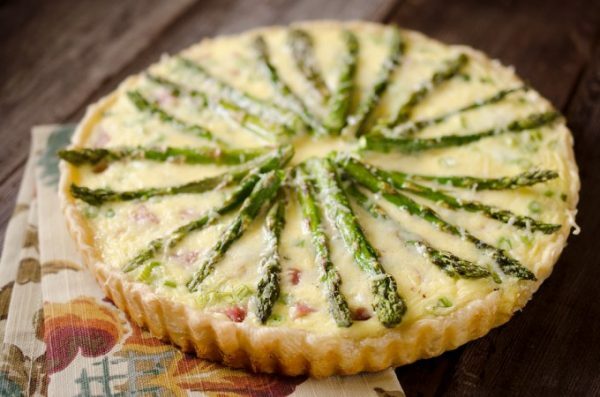 Since the asparagus is light, it blends well with the hollandaise and the quiche altogether. I absolutely adore Jamie Oliver. I joined his Real Food Revolution several years ago and do my best to encourage others to eat healthy, real, wholesome food. This is a revolution that our country needs! Beyond the Real Food Revolution though, this recipe is delicious. Here is the thing with leeks that most Americans (including myself until a few years ago) didn't know: you are supposed to cut off the top part and eat the bottom part where it is lighter. The upper part of the leek is very bitter. He also opts for filo dough, making it a lighter version of the other crust quiches we have on the list. Not to mention- doesn't it look gorgeous? Here is another great one if you are looking for a healthier option. 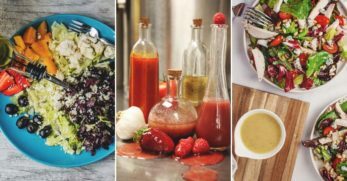 Lisa over at Wine and Glue loaded this recipe down with vegetables. From broccoli to onions and basil, this is a vegetarian lover's delight. Light and tasty – only 120 calories. I guess this one could be chucked under the “get it fresh from the market” like the farm fresh quiche. Yet, I'm giving you all different ideas of things to make. If your farmers market has these ingredients, I highly recommend it. The article she wrote along with the recipe is really good as well. She talks about grief, how to cope, and how to help your friends if they are dealing with it as well. Very good article. Just a heads up for you though, in case you just wanted the recipe. This recipe from Domestic Gothess is not just any recipe though, this is one that screams, “no kid! You won't like this!” or, let's be honest, anyone else who is wary of Green Eggs and Ham. Actually, just like in the children's book, this recipe is very delicious once it is all said and done. 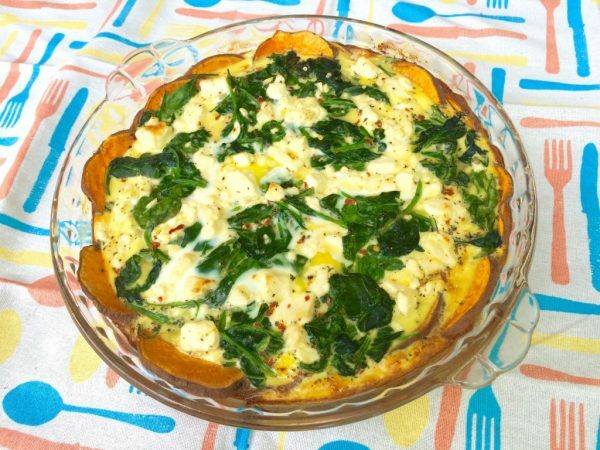 The two different types of cheese combined with the fresh spinach, eggs, and flaky crust makes it almost irresistible! Combine it with either a cup of orange juice or a side of fruit and a cup of coffee – perfection. One that must be shared with friends and family members. 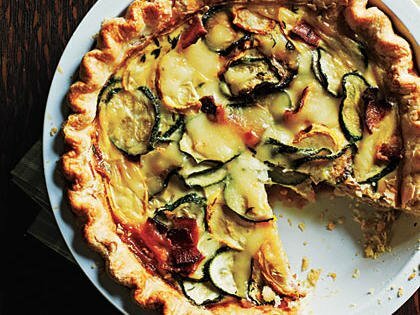 Let's dive straight in with a healthier take on a classic quiche. 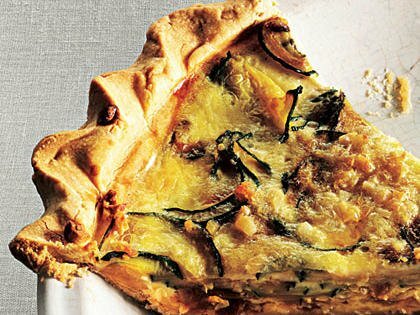 In this Spinach and Feta Quiche with a Sweet Potato Crust recipe, the usual pastry crust is replaced by thin layers of sweet potato. 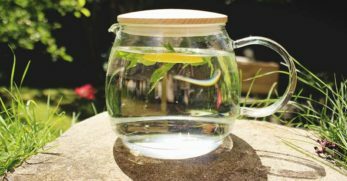 I wasn't sure how I felt about this idea when I first saw it, but after having a read through the recipe and thinking about all the ingredients it contained, I was sold. The combination of the ingredients has been well considered, the sweetness of the potatoes in the crust balancing out the saltiness of the cheese. 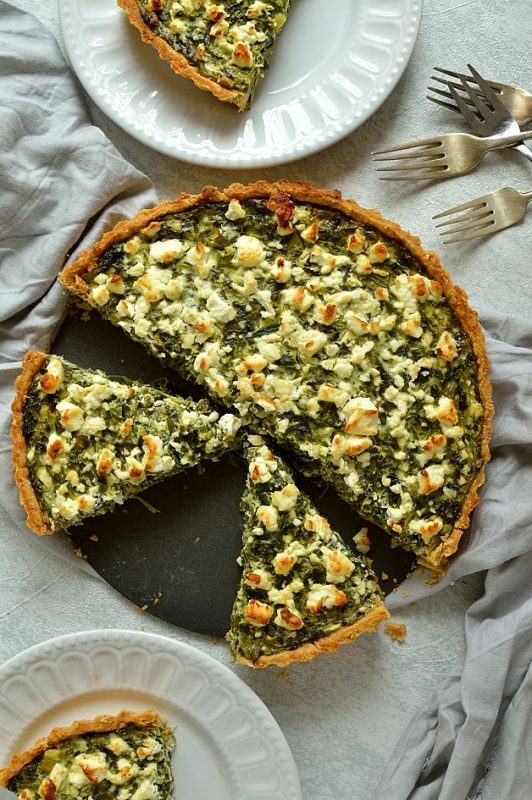 Feta and spinach is a classic flavor combination, a good one at that, and if the flavors themselves aren't enough to make you want to make this then how healthy it is should. I love the sweet silkiness of caramelized onions and think that this makes them a perfect component in a quiche. 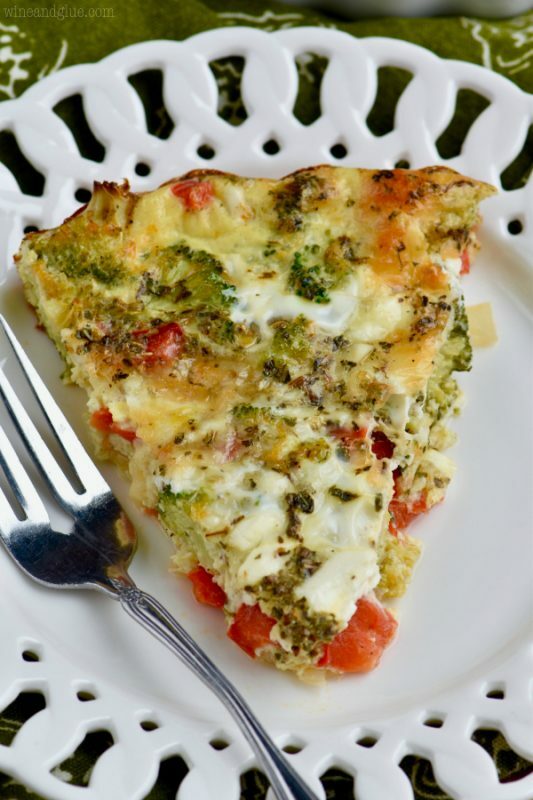 By avoiding heavy dairy products, this particular quiche recipe is healthier than many others. 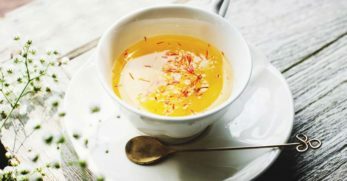 The combination of flavors in this recipe is rather simple which I like because each flavor will come through well. 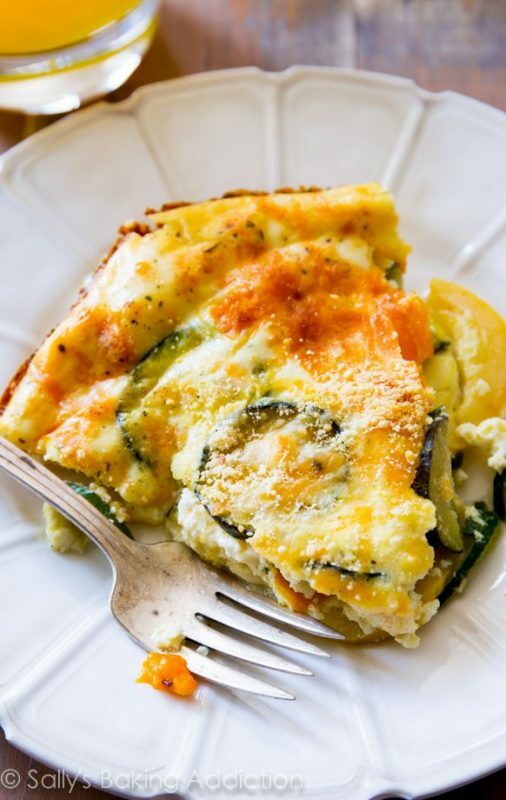 The addition of Parmigiano-Reggiano cheese will give the quiche a slightly nutty, woody taste which will go well with the freshness of the zucchini. There are a couple of different elements which need to be prepared and then brought together for this Zucchini and Caramelized Onion Quiche, but none of them are too tricky. Little cherry peppers have such a sweet, fresh flavor which will work perfectly with the saltiness of the bacon in this recipe. There is even a recipe for the pie crust in this recipe which is helpful in avoiding the need to have multiple recipes on the go at once. There is heavy cream in this recipe, but because it is also packed full of vegetables you don't have to feel guilty about tucking into it. 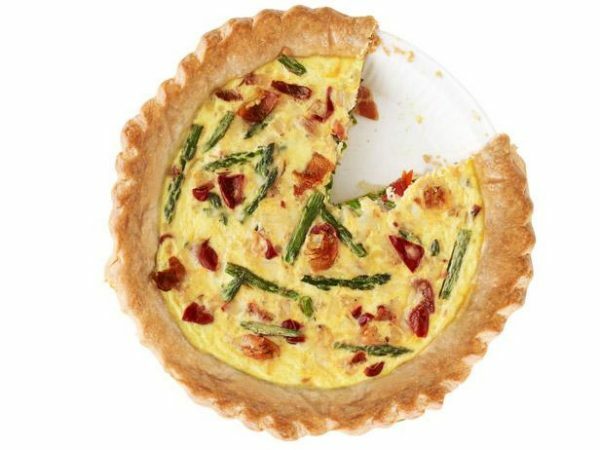 This Asparagus, Cherry Pepper, and Bacon Quiche scream lunchtime to me personally, and I think one of the reasons for that is that it would be delicious cold and therefore perfect for an on-the-go fix. My mom made a Mushroom and Bacon Quiche around Christmas time this year, and it was delicious. I don't think this is the exact recipe she used, but it contains all the same loveliness. One of the handy things about quiche is that it can be a great way to feed big groups of people. 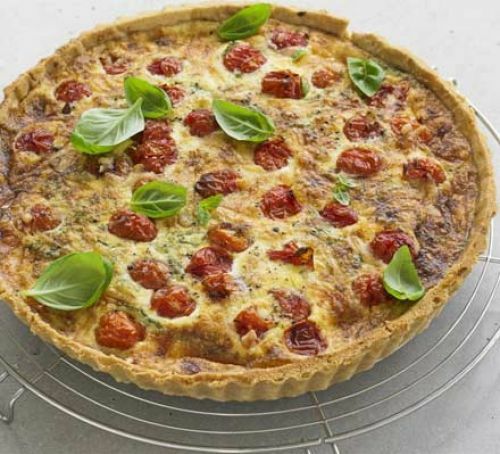 Make a quiche or two to share as starters or have them as part of a bigger buffet, they're always a great addition. 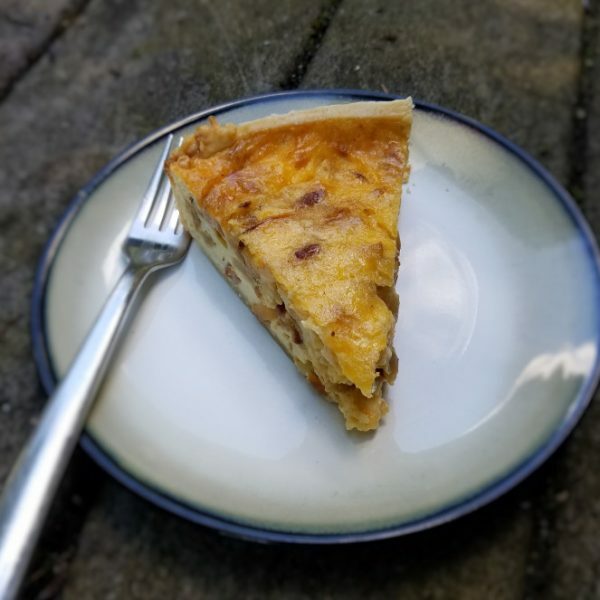 What I loved about this particular quiche was that it was packed full of the mushrooms and bacon, meaning that you didn't go through any forkfuls of pure egg, something which isn't always the most flavorful. Crustless quiches have always been a bit of a mystery to me. 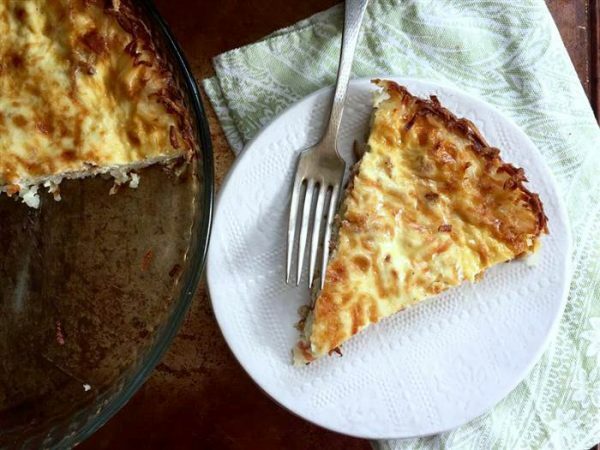 My favorite bit is usually the combination of the soft inner with the crispy outer, but because removing the pastry makes the quiche healthier, it is something I am willing to get on board with. Containing only 110 calories, this recipe is perfect for any weight watcher or calorie counter out there. That being said, I am neither of those things and still think it looks delicious. It's packed full of yummy vegetables and doesn't even omit the cheese like I feared that it might. 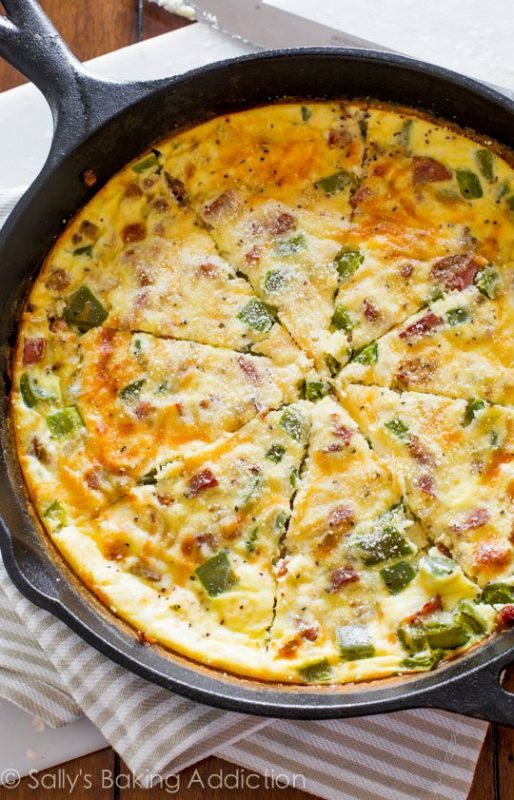 With those two positive characteristics, I will be giving this 110 Calorie Crustless Veggie Quiche a go. This Italian inspired Roasted Tomato and Parmesan Quiche is the perfect way to get all those classic flavors of Italy into one delicious dish. I get such a summery feeling even just looking at this recipe and can imagine myself enjoying a nice big slice of it while sitting out in my garden at sunset. This recipe is clear and easy to follow, including everything from the pastry to the garnish. If you weren't too worried about adding a couple of extra calories, it might be tempting to add a slice or two of mozzarella on top of the quiche to melt into it while cooking. Because of the lack of cream, this Summer Squash, Bacon and Mozzarella Quiche will be lighter than many others. It still includes milk, reduced fat, and mozzarella cheese, so the dairy aspect of it isn't entirely lost. 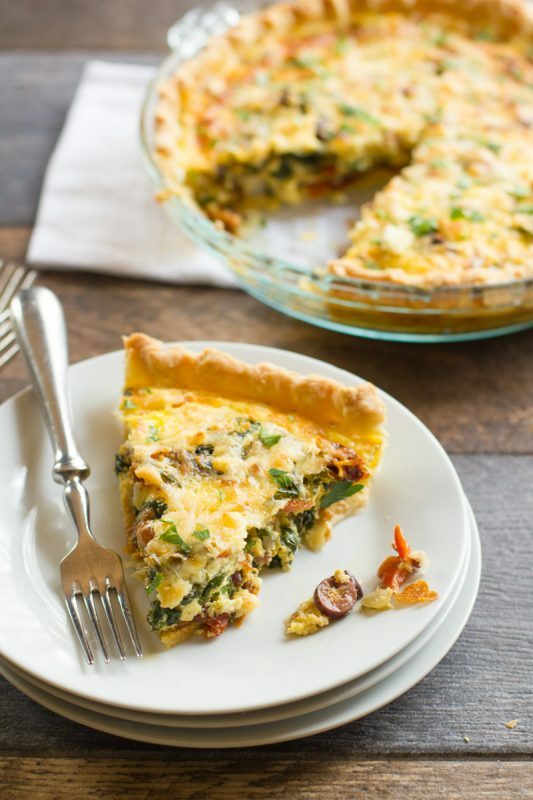 The filling of this quiche is mostly made up of vegetables and bacon, meaning that it will hold together nicely and be deliciously flavorful. To take this quiche up another level, this recipe includes a suggestion for which wine would be perfect to sip along with it, taking this from an easy weeknight meal to an all-around treat. I don't think I have ever seen a quiche packed quite as full as this one is. 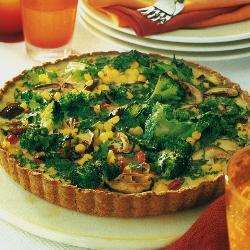 It is piled high with many yummy vegetables including obviously broccoli and red pepper, but also mushrooms and sweetcorn. At first glance, the recipe looks long, but after giving it a read through the majority of the preparation is in the making of the pastry case so if you wanted to avoid this you could work with a pre-made one. If you wanted to add some meat, I can imagine some pieces of pre-cooked chicken would work wonderfully with the vegetables. 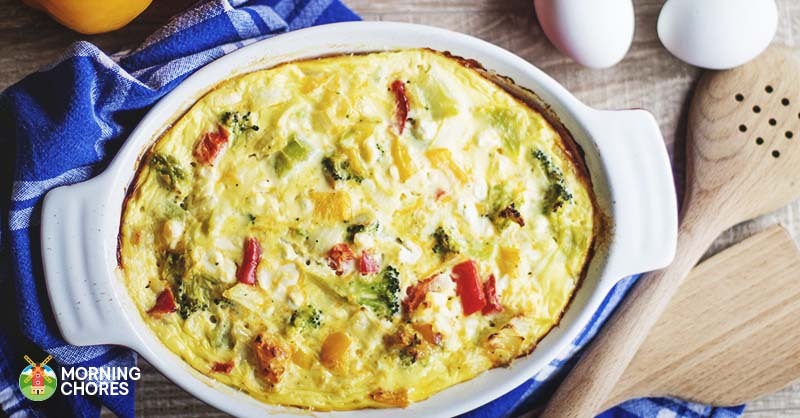 With a sturdy filling, this Broccoli and Red Pepper Quiche would be perfect for lunches, either by itself or along with a quick, fresh side salad. 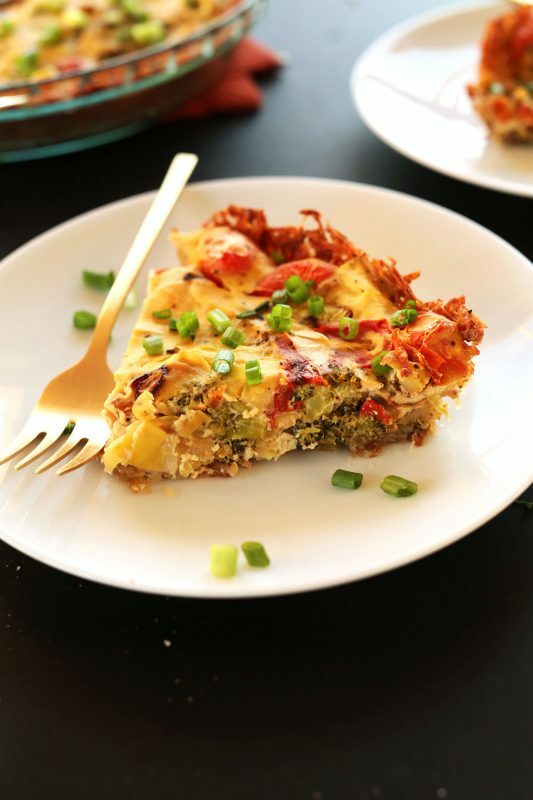 I am ecstatic to have found a healthy but still equally as delicious looking alternative to my all-time favorite quiche in the form of this Quiche Lorraine with Spinach Crust. Every unhealthy aspect of this quiche has been substituted by a healthier option which I like because the overall idea is still the same. Instead of pastry the crust is made from spinach, yes it includes cheese too, but the amounts aren't too great. It recommends using a reduced fat variety, and it helps to maintain the classic flavor. The regular bacon has also been replaced by turkey bacon, which is less fatty. 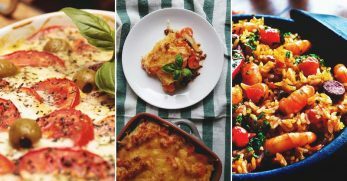 This recipe claims to have reduced the calories in this well-loved dish from 600 per slice to around 220, so considering it probably tastes the same I am all for it. When a dish is bright and colorful, it is undoubtedly far more appealing to eat. 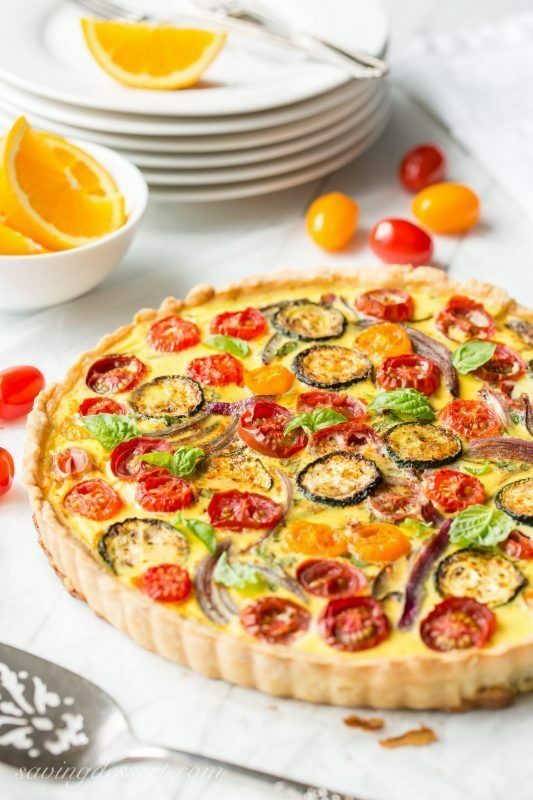 I reckon that is one of the reasons why this Mediterranean Quiche looks so delicious, and you can rest assured that all those beautiful colors come from healthy ingredients. A lot of the ingredients used in this recipe are things that you can have in the house for long periods of time. That is perfect for me, as I love having a couple of recipes on hand that I can make without having to nip to the store. 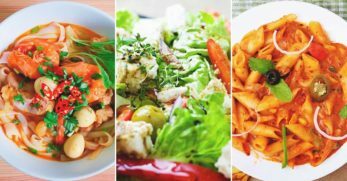 There are tastes mix of fresh vegetables like the peppers to bring lightness and a bit of a crunch to the dish and other ingredients like salty olives and dried herbs. The addition of the cheese will lift the whole thing, and I for one can't wait to dig in. I am a huge fan of seafood, I would choose it over meat any day, and salmon is up there with one of my favorite types of fish. 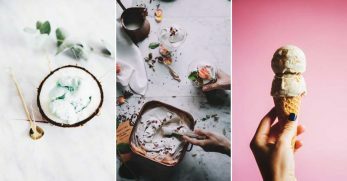 It doesn't fall into the bracket of having a purely ‘fishy' taste; instead, it is much more subtle, while still being able to hold its own as a flavor. 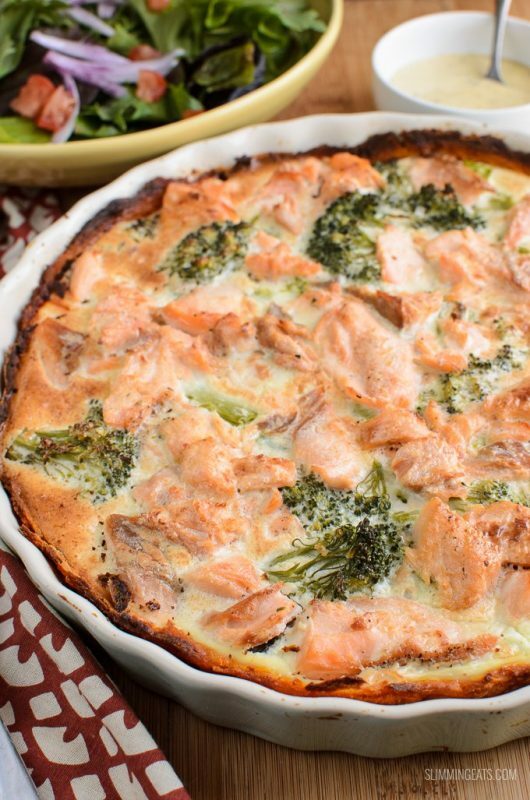 You can tell just by looking at this Salmon and Broccoli Quiche that it is packed full of big chunks of fish, something I will never shy away from. By having both the broccoli and salmon in larger pieces like this, it means that the quiche will have texture, which not all quiches deliver well on. This recipe uses mashed sweet potato as a crust for the quiche which I think would add a subtle sweetness, but it would be just as simple to use a regular pastry base if you would rather. This Rocket and Mushroom Quiche with Almond Meal Crust sounds like something you would see on a lunch menu at a fancy restaurant, and I am all about any recipe which makes me able to produce food like that at home without too much trauma. I was pleased to see the addition of goats cheese in this quiche. Goat cheese is something I cannot handle too much of by itself but used sparingly in a recipe like this I could eat it all day. The idea of the almond meal crust is very interesting to me, and I like that the crust in this recipe is being used to add another dimension of flavor as opposed to just encasing the quiche like in most others. I learned the hard way that tofu has to be cooked well before it is enjoyable. It took one of my friends' ages to convince me to taste some after a previous bad experience, but after that, I realized that it was a bit of a one-off and now am willing to try more dishes. 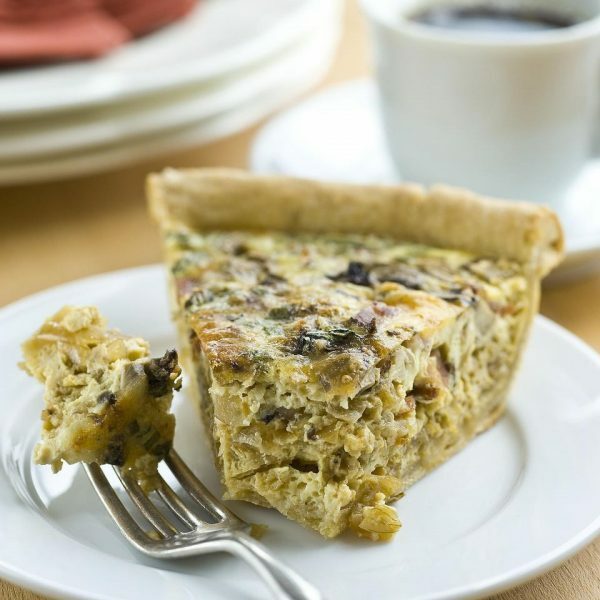 The ingredient list for this Tofu Quiche recipe is so unique, completely different to any quiche recipe I have seen before. It doesn't include eggs which are of course the classic quiche base but instead uses hummus to hold the whole thing together. As a hummus lover, I am so intrigued by this, and can only imagine it tastes delicious. Roasting the vegetables before adding them will bring out their flavor the best, and add different textures amongst the tofu. I know what you're thinking, the fact that this recipe begins with the word ‘cheesy' doesn't exactly scream healthy, but believe me in this case it does. 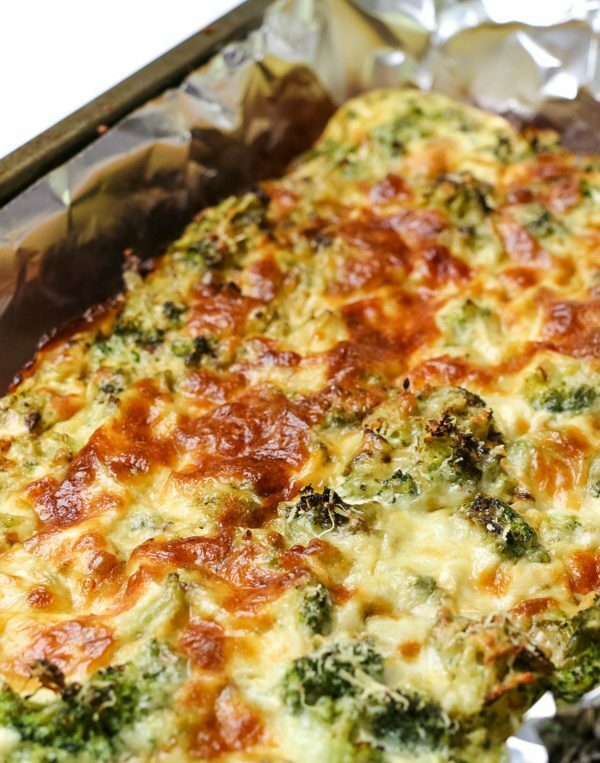 There are so incredibly few ingredients in this Cheesy Broccoli Quiche recipe, as a matter of fact, I think I currently have all the required ingredients at home, so it's a strong contender for dinner tonight. 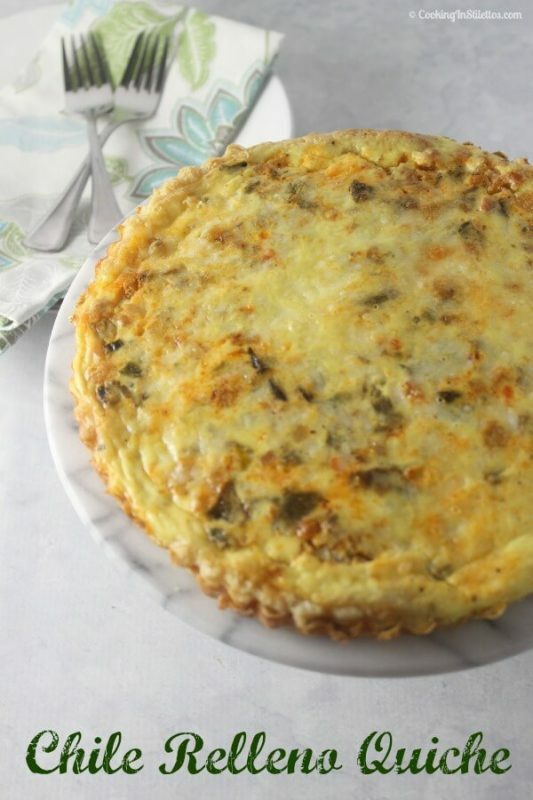 If you are very strict about not straying from classic recipes, then this might not be for you as it is a new take on quiche, but I like its freshness. 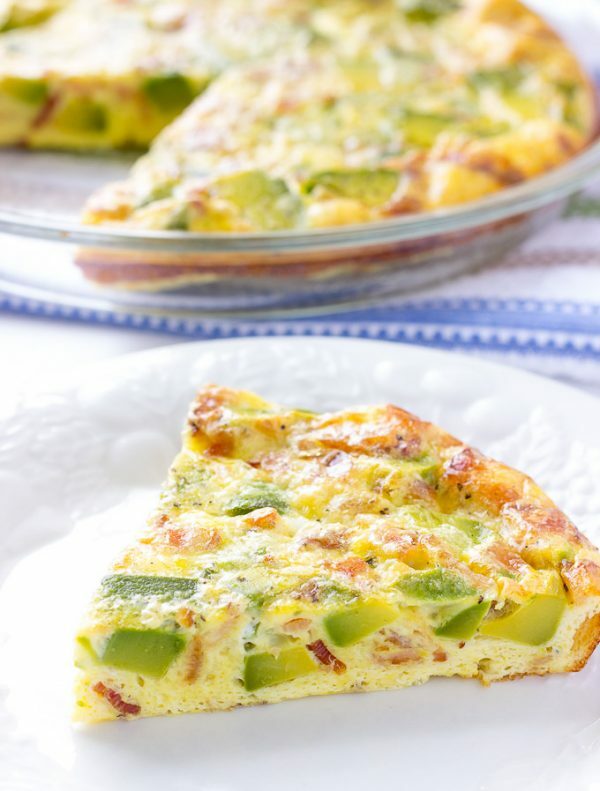 It would be difficult to find a quiche recipe much healthier than this one, and I even think it would make a delicious breakfast. This Turkey Bacon and Spinach Quiche has taken all elements into account and made adjustments to make it as healthy as possible while still staying true to the classic quiche. 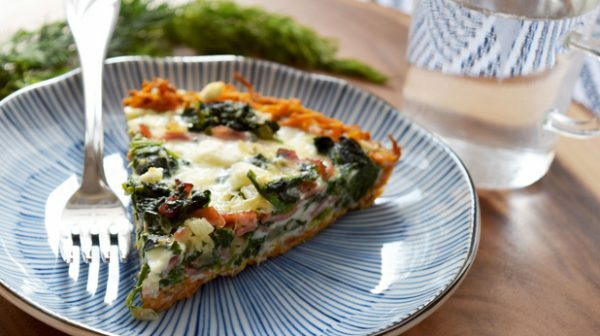 Aside from that iron boosting spinach, this quiche also has a sweet potato crust, fat-free feta cheese, skimmed milk and turkey bacon instead of regular bacon. It also only uses two whole eggs, taking only the whites from the rest, meaning that the flavor of the yokes is there, but they will add less fat to the dish. There is a good balance of flavors, with both sweetness and a touch of saltiness from the bacon and cheese. I love the look of this quiche when you cut into it; the different layers gives such a pretty effect primarily because of the drastic difference between the bright green and cream colors. Mint gives everything such a fresh, spring-like flavor, and creates a classic flavor combination when paired with peas. 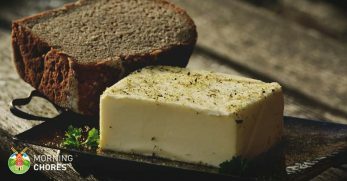 The use of mild goat cheese means that all three flavors will harmonize together as opposed to one overpowering the others. Because of how lovely it looks, never mind how easy it is to make, this Pea, Mint and Goats Cheese Quiche would be perfect to make if you are entertaining guests for a lunch or light dinner. 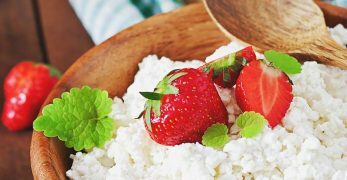 There are no hidden ingredients in this recipe; it is purely egg whites, vegetables and a little bit of milk and cheese. It has been arranged in a neat looking way, with the white egg dotted with spinach topped with the brightly colored vegetables. 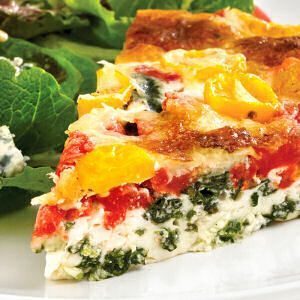 This recipe for Egg White Quiche with Vegetables manages to be healthy without having removed the cheese which I like. 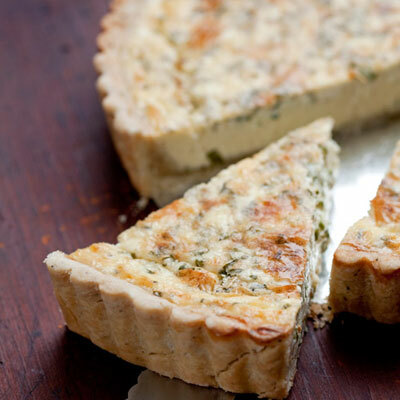 Cheese is a vital aspect of quiche in my opinion, and I am not as big a fan of recipes which eliminate this for the sake of lowering the calorie count. This recipe as done just as successfully by removing other things instead, like a pastry crust and egg yolks. Blue cheese might not be for everyone, but it certainly is for me. That said, there isn't too much blue cheese in this recipe compared to the measurements of other ingredients, the cream cheese especially will mellow it out. That means that there will be a hint of blue cheese as a background flavor in this Herbed Quiche with Blue Cheese, but not something too overwhelming. 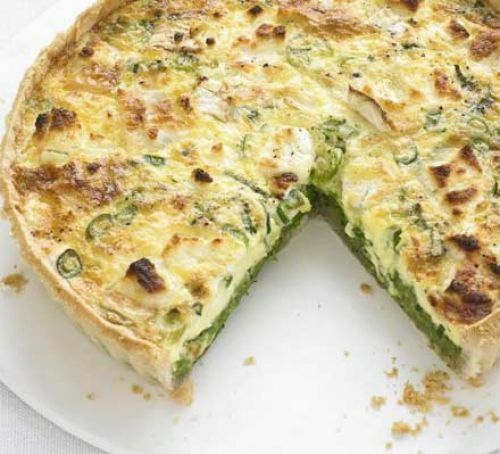 I haven't come across too many quiches which contain herbs; they tend to focus more around vegetables, so I am interested in giving this a try and potentially taking inspiration from it to use in other recipes. 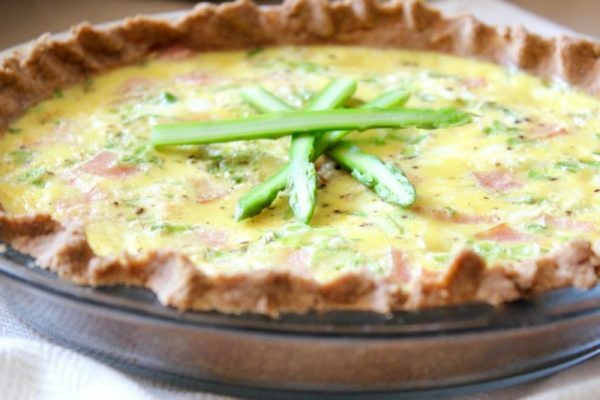 Here is yet another fantastic quiche recipe which delivers on the cheesy while still being less than 150 calories. I have never tried sausage in a quiche but thinking about it they would work exceptionally well, little pockets of punchy flavor. 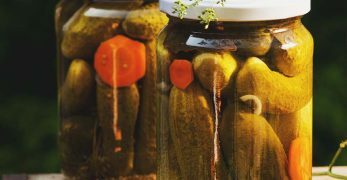 I would be experimenting with different flavors of sausage in this recipe; you could even use vegetarian sausages to make it entirely meat-free. 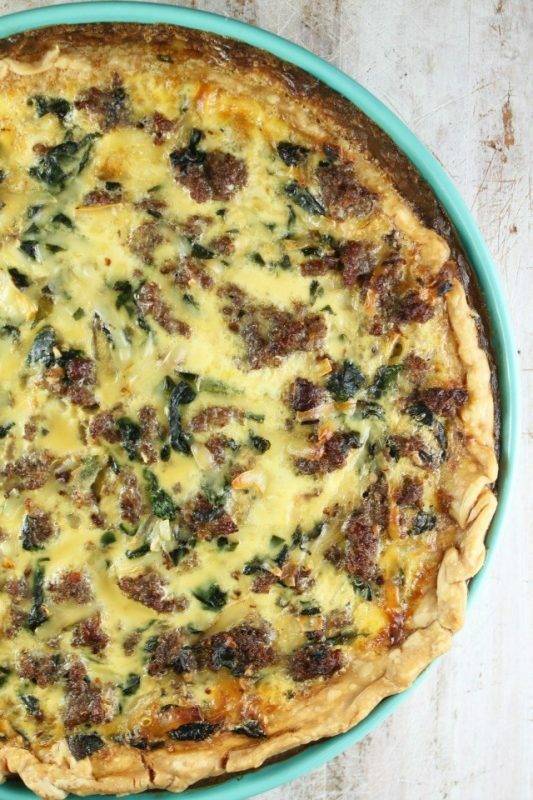 This Cheesy Sausage Quiche can be prepared all in one pan which makes it an instant winner for me considering how much I hate washing up. It looks like one batch makes a pretty large quiche, which makes it perfect for either sharing or meal prepping for the week ahead. 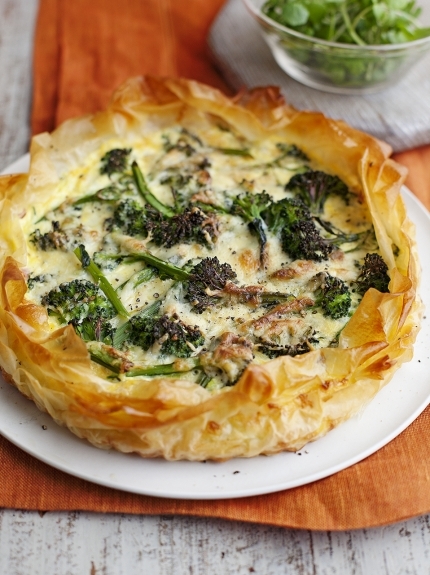 I have never seen a quiche with a puff pastry crust before, but it would make the dish incredibly light and would do just as good a job of keeping the filling contained as a regular pastry crust would. Smoked salmon is one of my favorite things to use in lunches, whether it be on bagels with cream cheese or atop crushed avocado on toast. 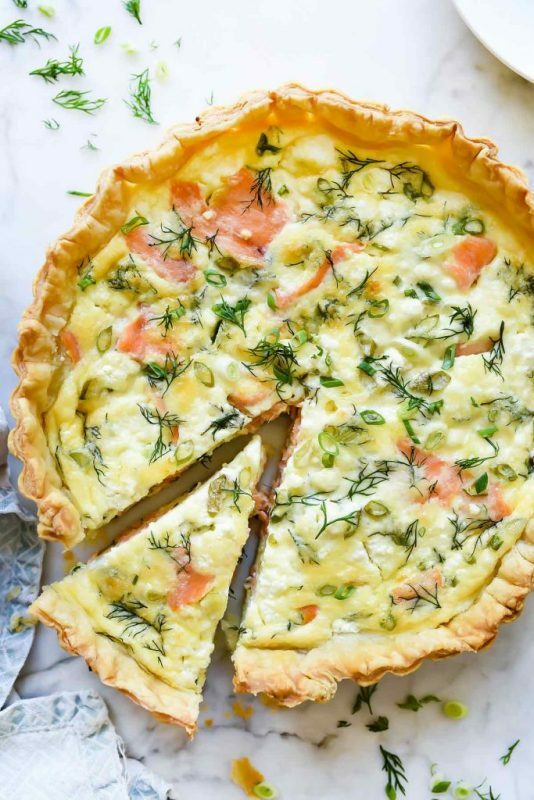 In this Puff Pastry Smoked Salmon and Creme Fraiche Quiche, the creme fraiche would mellow out the strong taste of the salmon perfectly, although it does suggest swapping it for goats cheese if you would prefer something more punchy. 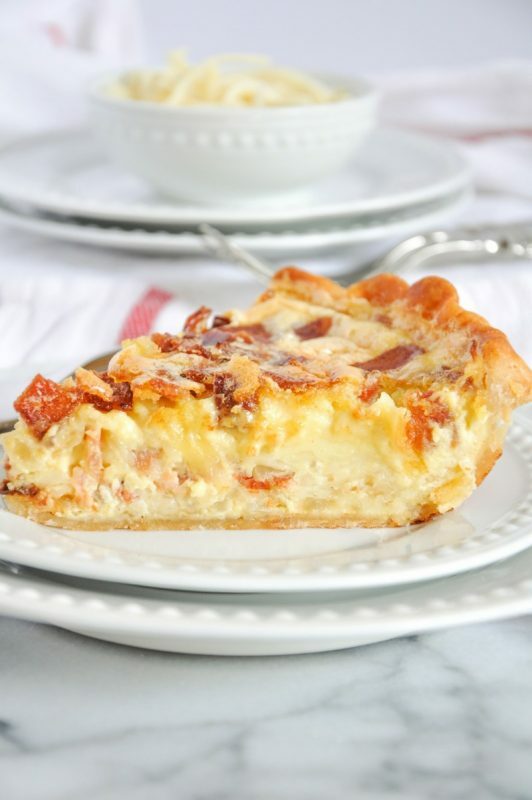 I was surprised to read that there is a splash of Tabasco hot sauce in this quiche, and am eager to find out what effect that has on the taste. 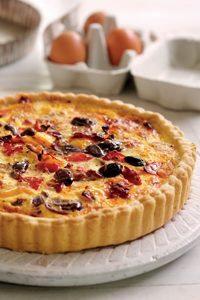 This Roasted Pepper and Chorizo quiche has some fascinating flavors going on, like that of the chorizo and the olives. Along with the sweet peppers and nutty parmesan cheese, I can imagine this being highly flavorful and delicious. With the mix of different ingredients, each forkful would taste different which is always fun. I do not doubt that this would make a hearty weeknight dinner, with the sausage and vegetables inside, and one that could be prepared in advance. 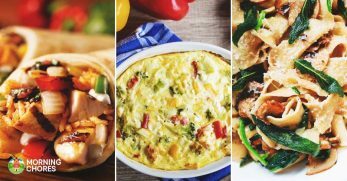 Something like this is a great way to conquer many meals at once and save yourself a little bit of cooking time throughout the week. 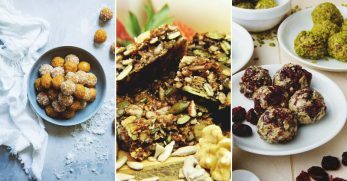 Here are just a few ways that you can turn your breakfasts into something more exciting. 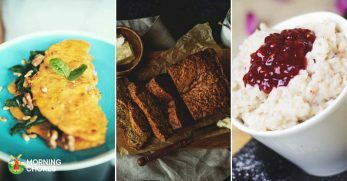 Not just breakfast though, these recipes are good to pack in a lunch alongside fruit and other yummy goodness. Or you can have it for dinner, with a glass of wine to unwind from your day. It freezes well, so it could be made in advance and thawed as needed. And it's super versatile – you can add just about anything you like to the egg mixture. 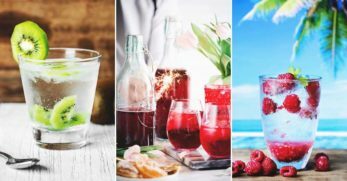 What better than a recipe that you can eat any time of the day and can freeze to preserve until you need it?